Infratech WD6024SS Stainless Steel radiant heating systems are the most complete, versatile and stylish outdoor heating systems available. Infrared or Radiant energy is the most efficient way to warm outdoor living areas where heated air cannot easily be contained and re-circulated. Heat is distributed evenly, and will not "blow away" in windy or drafty conditions. 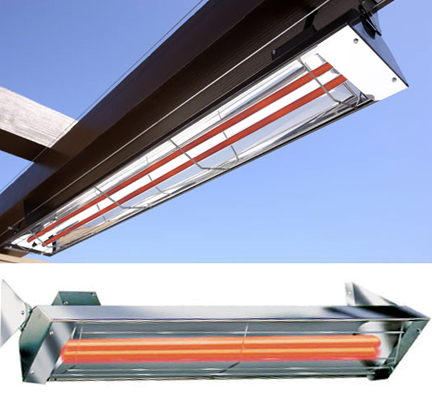 Infratech Outdoor Rated heaters offer the widest range of fixture sizes and power, installation options and control capabilities. They provide clean, efficient, radiant heat that can be incorporated into any indoor or outdoor setting. A quartz element emits a safe, clean wavelength of light, that is only absorbed by solid objects, transferring heat directly to people, tables and floors, rather than heating the air. Infratech medium wave quartz element heaters emit a barely discernible, pleasing glow that will not affect the ambience of your gathering - unlike competitive short-wave or halogen electric heaters that produce a harsh glare or bright-colored light. • Optional powder-coating in SIX Standard Colors and take about 2 - 3 weeks to ship. •A SURFACE CEILING / WALL MOUNT IS INCLUDED WITH THIS INFRATECH HEATER. 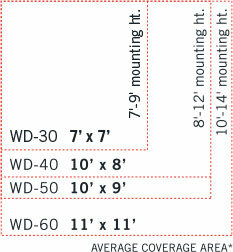 SELECT to See and Order Flush or Pole Mounts. SELECT to See and Order Infratech Heater Controls. 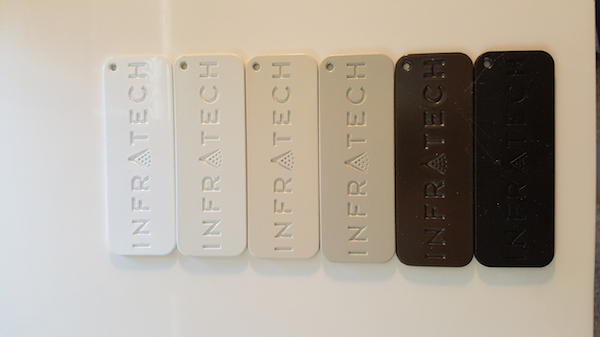 SELECT to See and Order Replacement Elements for All Infratech Heaters.